Panaji, Jan 30: Dubbing Congress President Rahul Gandhi as a ‘compulsive liar’, R Prasanna Karthik, Officer on Special Duty (OSD) to Goa Chief Minister Manohar Parrikar today disproved the alleged claims on Rafel deal. Launching a frontal attack on the Congress Chief, Parrikar’s officer took to Twitter and said that Gandhi called on Chief Minister Parrikar and extended best wishes for a speedy recovery. Prasanna further added that the interaction between Rahul Gandhi and Parrika was a mere courtesy call and the duos had no conversation on the issue of Rafel deal. Lashing out at Gandhi, the officer asked Amethi MP not to spared lies against the former Defence Minister who is fighting cancer without compromising on his commitments to his people. 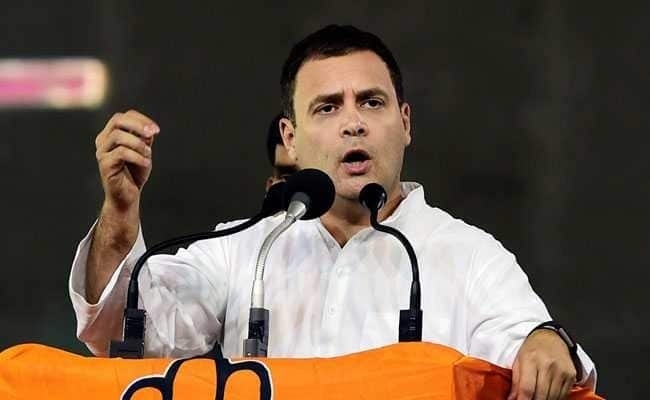 The Controversy sparked when Rahul Gandhi in his recent public interaction at Kochi went on claiming that Prime Minister Narendra Modi had deliberately kept former defence Minister Parrikar out of Rafel deal just for the benefit of Anil Ambani.